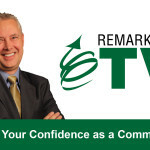 Our members in the Remarkable Leadership Learning System are focusing on the skill of Communicating with Confidence this month. During our teleseminar last week we were talking our role as leaders to build the confidence of others. Due to an interactive session with a variety of great questions I wasn’t able to get through all of my planned content. At that time I promised to share more thinking on the concept of showing our belief in others (as a way to boost their confidence). I decided to share that with everyone, rather than just our members. By believing in them. This may seem like a obvious comment, but it must be stated. Belief isn’t something to fake or toy with. While as leaders we need to always be authentic and genuine, any hint of making this a technique – and being disingenuous will have disastrous short and long term consequences. Believing in them is the best (and only) place to start. By caring enough. Believing is great, but do you care enough to let them know? Does their success and significant improvement important enough to you? Let your caring show – through your words yes, but through your actions and your calendar even more. By asking more questions. Ask people questions about their success, about their plans, about their dreams. Ask encouraging, positive and uplifting questions that motivate and inspire them. By giving them a picture. A picture of what? Of their future success as you see it. When we show our belief in people by letting them see what we see in their future, we can captivate and inspire people. This act can be among the most meaningful and powerful things we can do for someone else. By letting them try. Give people a chance to try their skills in a lower threat, safer place. Confidence builds from small victories. 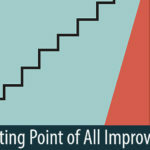 There is more that you can do, but these five steps get you headed in the right direction, and will help you build their confidence steadily. Doing this well is not only one of the most important things we can do as a leader, it is also one of the most personally gratifying too. If you would like to learn more about the Remarkable Leadership Learning System, you can contact us, or sign up for a 2 month free trial – our gift to you as the Most Remarkable Free Leadership Gift Ever. 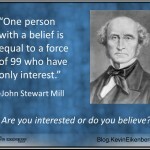 Are You Interested or Do You Believe? 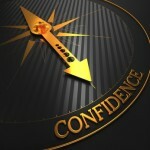 People who have confidence in themselves also tend to be positive about the world around them.